At the invitation of the São Paulo Cultural Center to participate in the last edition of the female/male platform, I began revisiting my first work as a choreographer, the solo Pressa (1998). I invited the young dancer Leandro Berton for a “remake”. I accepted the invitation knowing that I could not access the 11 years old piece as it was. For some reasons: because it’s about Leandro on stage; because in that context I was occupied with other issues, with other aesthetics; because the way I’ve been working lately mobilizes me to rethink, reformulate and risk ideas. Then, we decided to prioritise and value our inaugural meeting, facing this opportunity as a tool to generate something new setting the “original” as a starting point and parameter. We did not name our process a remake, we named it revising of ideas. And, that’s where the title of the new solo comes from. Developed with the support of a research research grant awarded by REDE Stagium in 1997, Cristian Duarte’s Pressa soil received prizes from the Paulista Association of Art Critics – APCA (1998) and Funarte (Mambembe 1998). 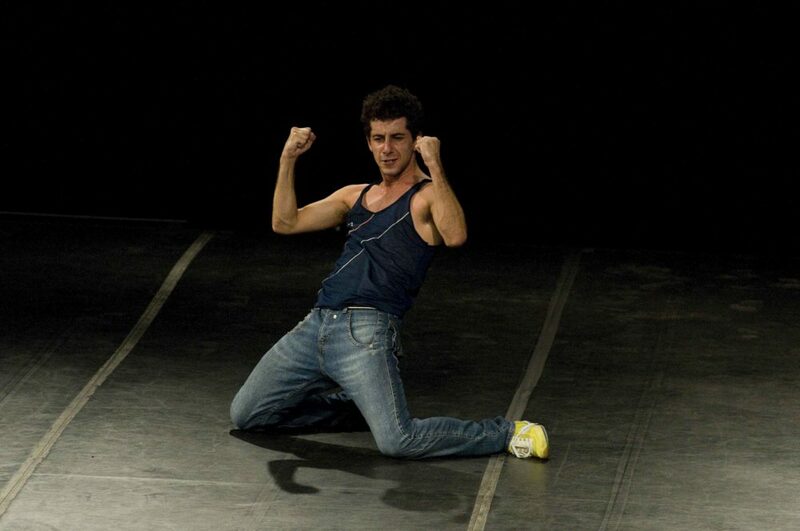 The remake of this solo in 2009 counts with the collaboration and performance of the young dance maker Leandro Berton.